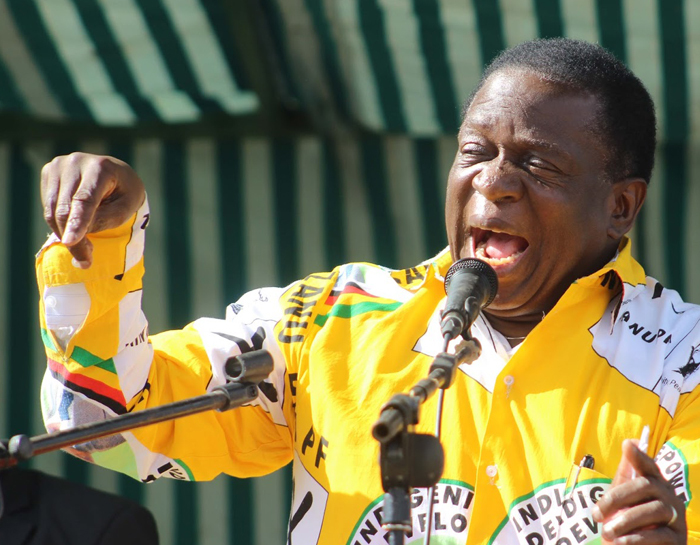 PRESIDENT Emmerson Mnangagwa has told Zanu-PF youths to be wary of ambitious bigwigs who are bent on causing disunity in the party and the nation at large. Addressing the Zanu-PF youth league national assembly at the party headquarters in Harare on Thursday, Mnangagwa warned of both internal and external machinations against his government “to distabilise the party by causing despondency and disunity among our rank and file”. “Let us all condemn and expose these acts, divisive or opportunistic or mafia-style handling of party affairs will never be accepted. “You may feel that you are smart but let me tell you that this party Zanu-PF will always be smarter so as you carry out both your political and development programmes, you must be wary of those with brute unbridled ambition and political gladiators,” Mnangagwa warned. He urged party youths to be vigilant “as they may seek to sow seeds of disunity amongst you within the party and ultimately to the nation for their own selfish ends”.As recent as February this year, Mnangagwa was forced dismiss reports of a rift with one of his deputies, Constantino Chiwenga, which have been circulating since he promised action in response to a brutal security service crackdown in January while he was abroad. Chiwenga led the coup that toppled long-time leader Robert Mugabe in November 2017 and was replaced by his former second-in-command, Mnangagwa. “I have known Chiwenga and his colleagues (in the military) since the struggle years. We are comrades and understand each other better than you think,” Mnangagwa said. Two allies of Mnangagwa — a lawmaker of his Zanu-PF party, Justice Mayor Wadyajena, and former deputy finance minister Terence Mukupe — said in January that some government officials and MPs were trying to impeach the president. Mnangagwa also warned youth league officials that indiscipline in the party will not be tolerated and also that the Zanu-PF constitution must be adhered to when disciplining errant members. “Let me also warn that as provided for by our party constitution acts of indiscipline, treachery and disloyalty will not be tolerated or condoned. “If any members or structures of the party have any grievances, we have laid out rules and regulations or procedures that must be followed. “I know of some comrades who have been suspended or expelled but no procedures were followed. That is not proper. “We are dealing with party issues and you put aside your differences with the person concerned. You must obey and follow the rules and procedures of the constitution otherwise you will find yourselves in the wrong,” the president said. In February, the Zanu-PF youth league’s national executive council passed a vote of no-confidence on its leader, Pupurai Togarepi, and four other executive members on allegations of incompetence, gross misconduct and treachery. The other members are deputy national secretary (youth affairs) Lewis Matutu, national secretary for administration Tendai Chirau, deputy national secretary for external relations Admire Mahachi and Mercy Mugomo, the deputy national secretary for environment and tourism. The vote of no-confidence was allegedly moved and supported by two-thirds majority of the national youth league executive council.